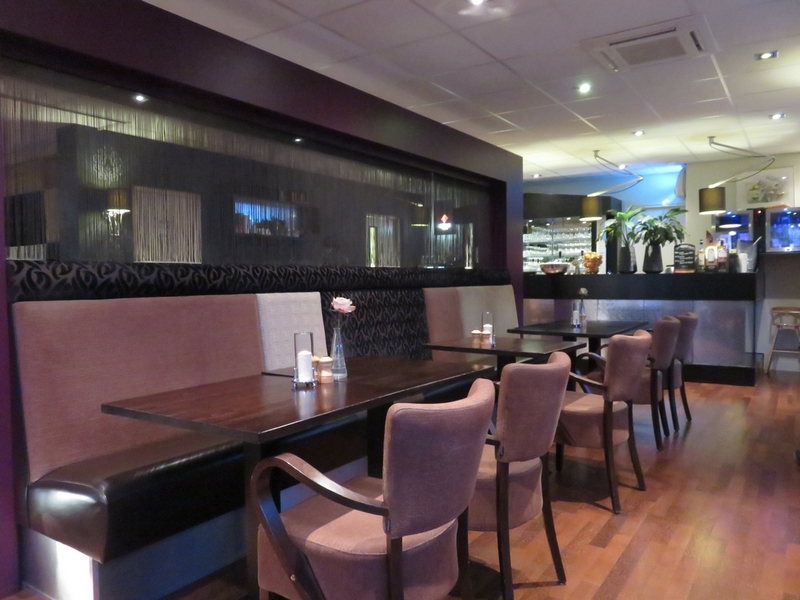 Restaurant review #58 – Het Stadhuis is a traditional restaurant in the south of the Netherlands, in the province of Zeeland. That’s very close to the Belgian border, and very close to Bruges (only about 30km = 20 miles). Restaurant and coffeehouse Het Stadhuis is in the center of Oostburg, a small town in the south of Zeeland. 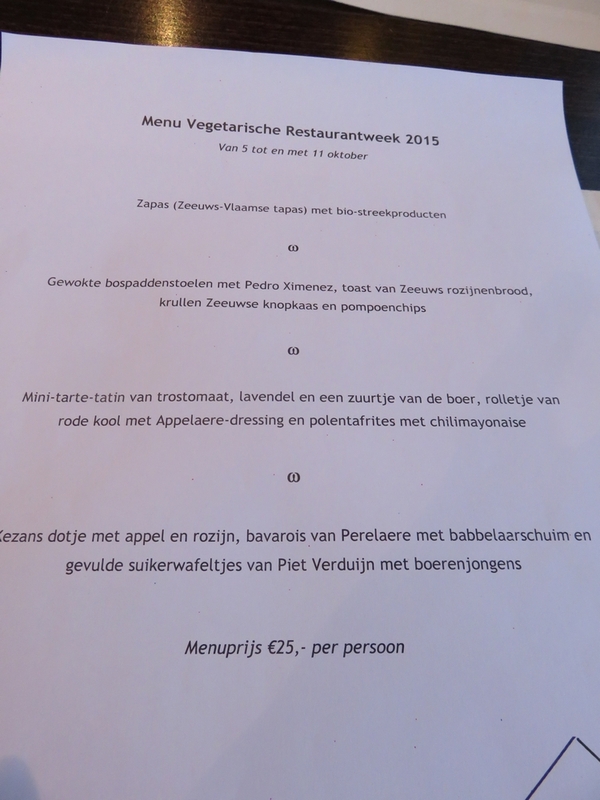 Every year in the beginning of October, Het Stadhuis participates in De Vegetarische restaurantweek, a campaign of the Dutch Vegetarian Association. 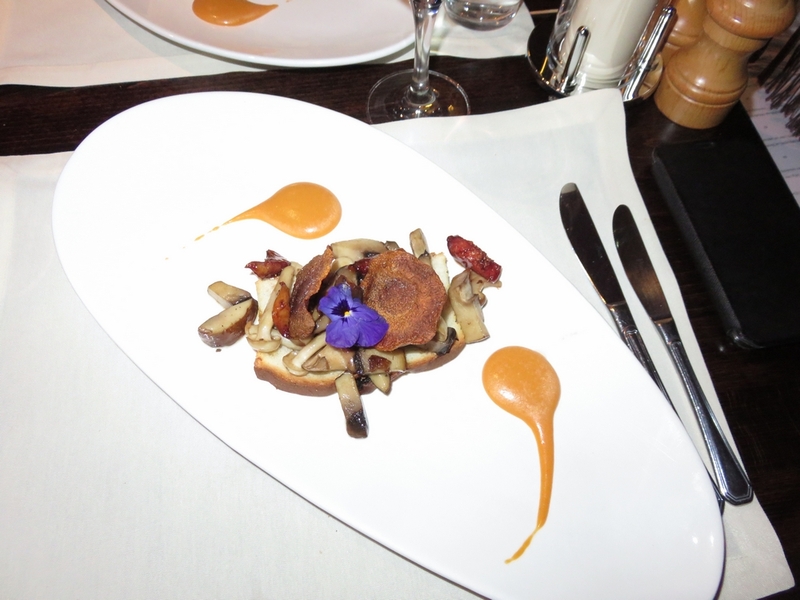 During this week, you can have a vegetarian dinner in the participating restaurants for only 25€. Some restaurants offer a vegan menu, or you can have the menu veganised upon request, which is the case in Het Stadhuis (preferably ask it at least one day in advance to have it veganised). 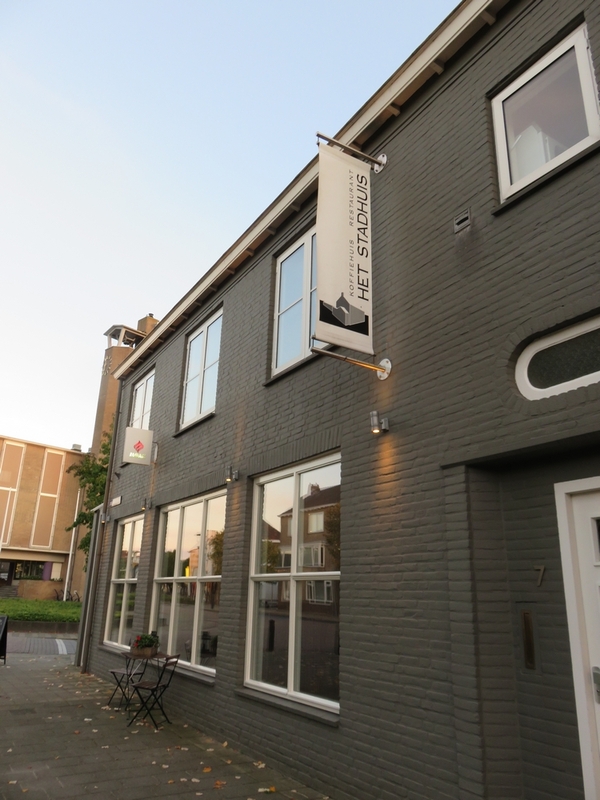 We already went to Het Stadhuis in 2013, also during the ‘Vegetarische restaurantweek‘, and we liked it a lot (see our review of that visit here, it was one of the first reviews on our blog!). 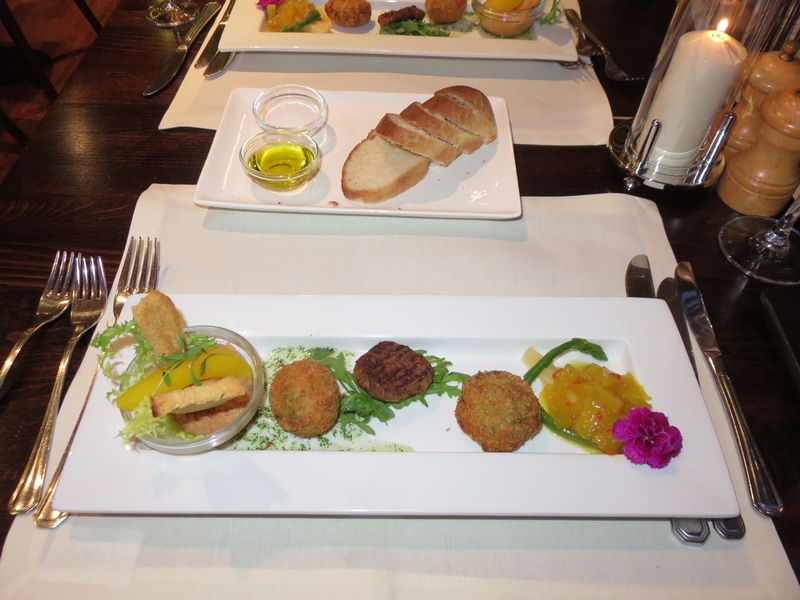 Starter: Hummus from chickpeas, falafel, pea croquette, chutney, with bread and olive oil. This was the second time we were at Het Stadhuis and this time was even better. We liked it a lot! Service was swift and very friendly. Staff is very knowledgeable about vegan ingredients (eg the bread, the cookies) which is reassuring. 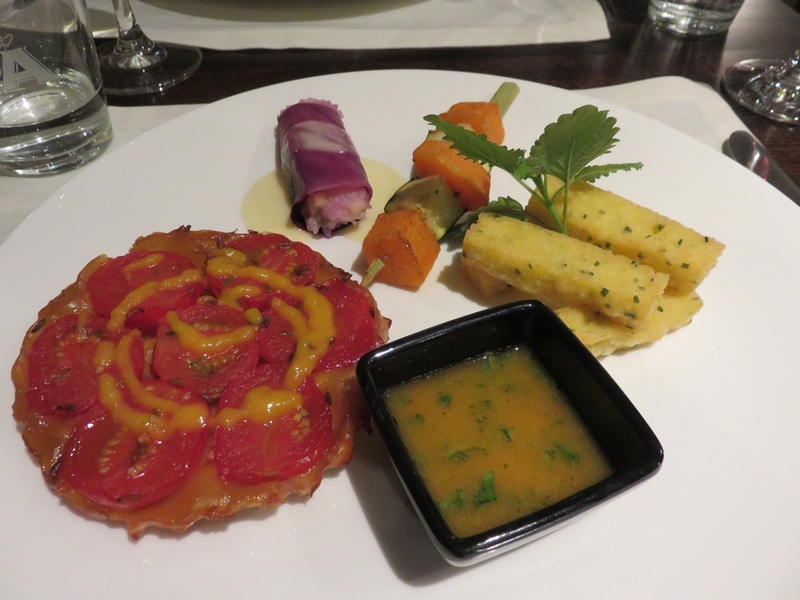 This dinner for the Vegetarian Restaurantweek is only 25€, which is great value for money! Drinks are reasonably priced too (demi bottle of water is 3,60€). 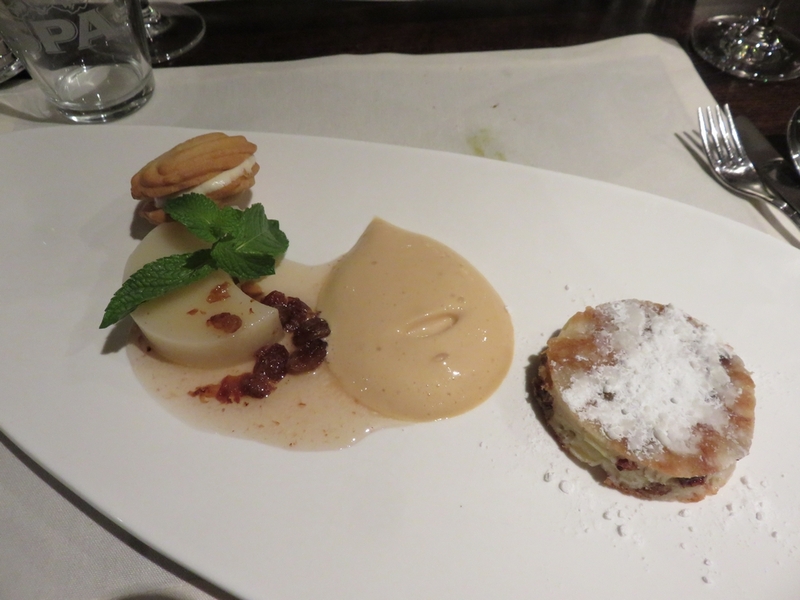 We had a wonderful dinner in a relaxed atmosphere! Have to visit this one some day! Can you also eat vegan outside of the Vegetarische restaurantweek? 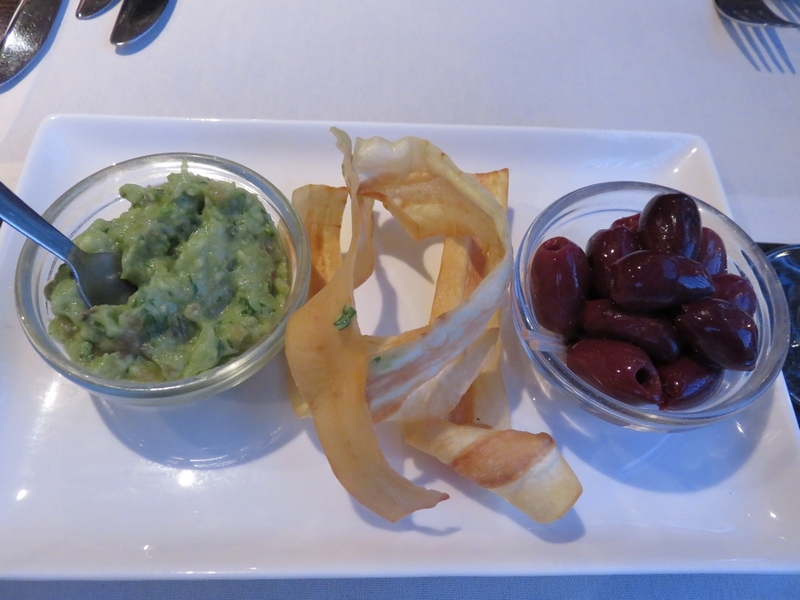 There’s always a vegetarian menu available, which can be veganised upon request. The restaurant staff said they prefer if you ask it at least one day in advance, so all items can be pre-prepared in time (eg the bread, the cookies)! Great, we are in the area sometimes, so hope to try it one day! A lovely vegetarian dinner & so beautifully presented too! Yummm! Previous PostWant some kale? Our 2015 veg harvest and lessons learned!